Primary school pupils in Knowsley spent a ‘fantastic’ afternoon in Huyton Library meeting renowned children’s author and illustrator Kate Pankhurst. 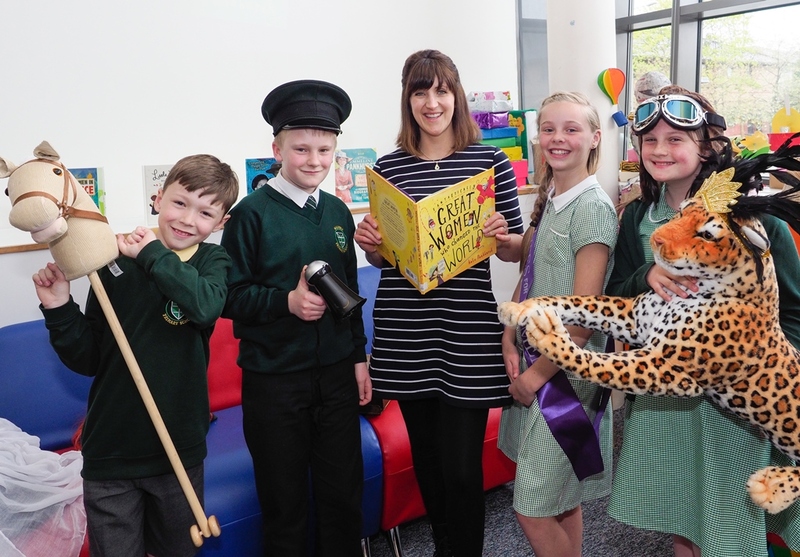 Kate took the children on an entertaining journey of ‘Fantastically Great Women who changed the World’ her globally successful non-fiction debut celebrating women. 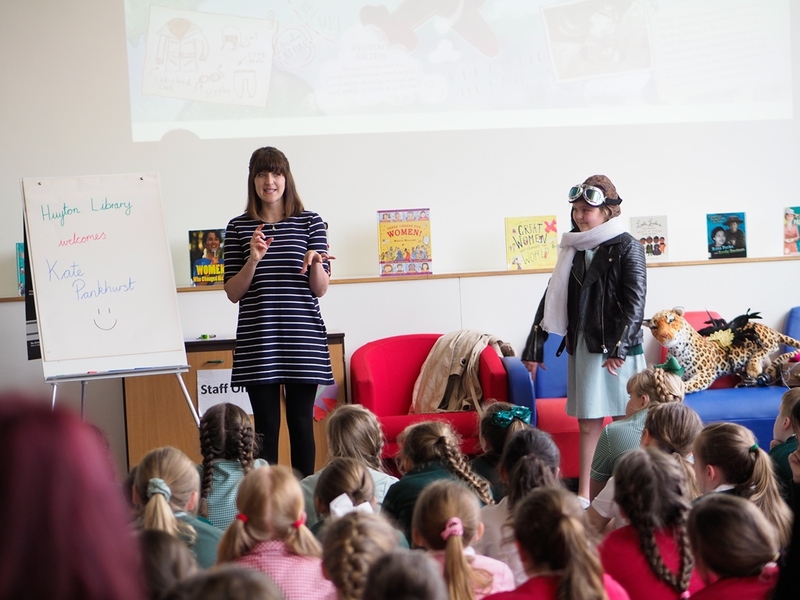 As a distant relative of the suffragette, Emmeline Pankhurst, Kate said she’d always been aware of the connection and always interested in writing stories with fantastic girl characters as well as strong boy. 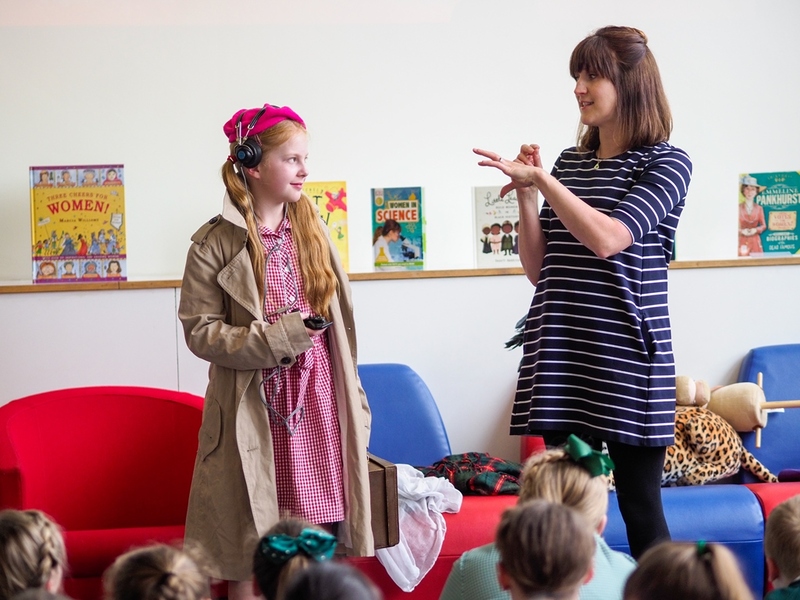 Kate introduced the children to some of the incredible women featured in her book by getting willing volunteers to dress up as Boudicca, Amelia Earhart and WWII spy Nora Ingalat, bringing to life the actions and achievements of these great women who changed the world. “I take my Dalmatian dog Olive to work in the studio with me every day. It’s good because if I get stuck I go and take her for a walk and it gives me time for ideas… I make time in my day to doodle which helps me with creative ideas. I find my best ideas come about that way. A doodle of the character Lady Winkleton – a character from my fiction mystery series Mariella Mystery – whose look was inspired by Amelia Earhart, gave me the idea to start working on my ‘Fantastically Great Women’ books. Kate explained she likes to put unusual details in her books, like the fact Amelia Earhart took a flask of hot chocolate on her longer journeys. 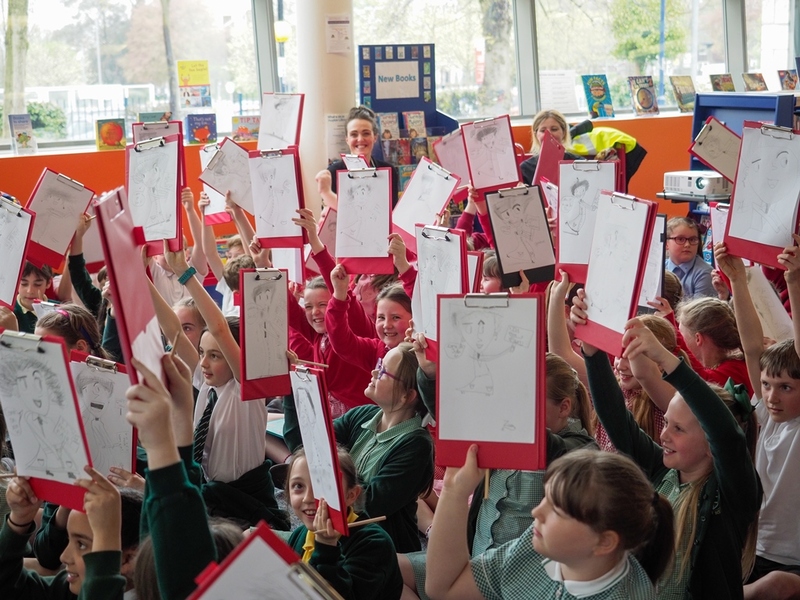 She got the children to think along the same lines by asking them what they would take with them on a journey across the Atlantic; the most popular answers were marshmallows, grapes and Nutella! “It was a fantastic event! 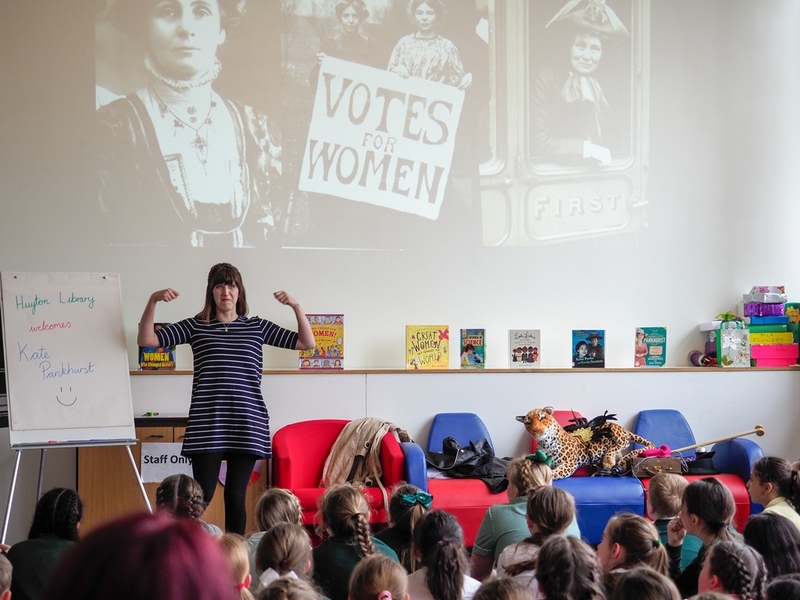 Kate Pankhurst made a great impression on the children, really inspiring them to learn more about the inspirational women she talked about and also to read, write and illustrate more themselves! 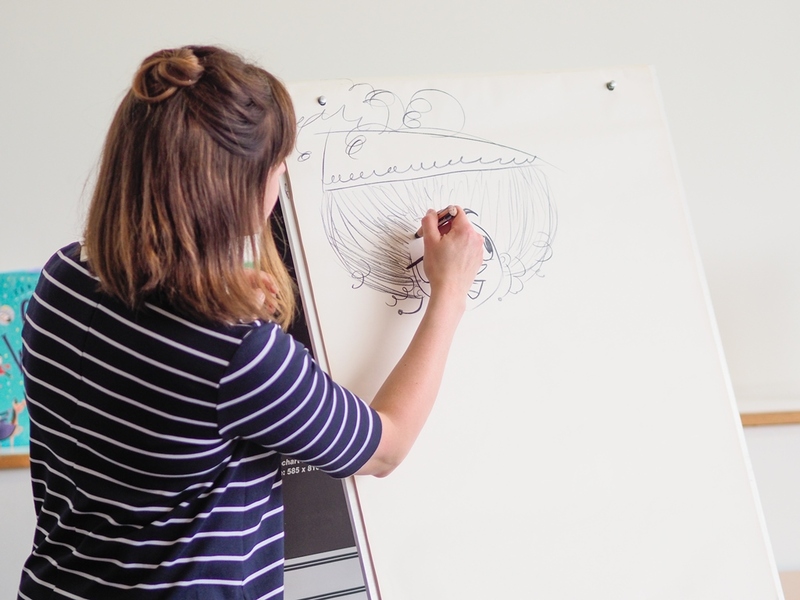 The children all joined Kate in drawing a suffragette, learning how she starts illustrating a person with the eyes. Step-by-step Kate showed the children her drawing process, advising them to leave in any mistakes as by the end they’re probably not noticeable and will add to the overall picture. There children drew some really impressive pictures! 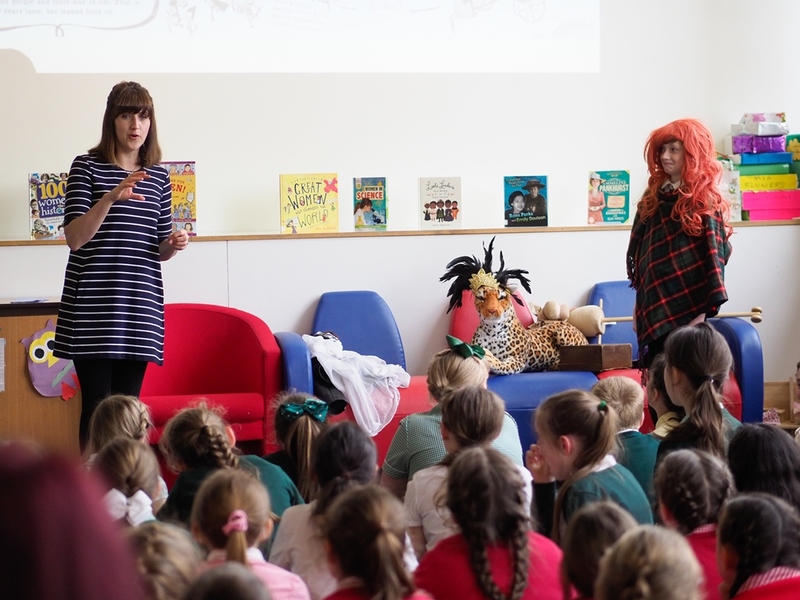 This event for schools was organised as part of Knowsley Library Service’s series of author visits. Fantastically Great Women who changed the World’ has sold more than 100,000 copies and been translated into 15 languages. ‘Fantastically Great Women who made History’ is the follow-up title and Kate Pankhurst also writes the popular the Mariella Mystery children’s fiction series. Check out the photos from this ‘fantastic’ day.